for high accuracy, long life and low cost while delivering high speed and peak thrust. This blend of low-cost and high performance could only have been realized by the advanced technology of Dyadic Systems. These new product concepts give engineers a wider range of options to eliminate over-design. 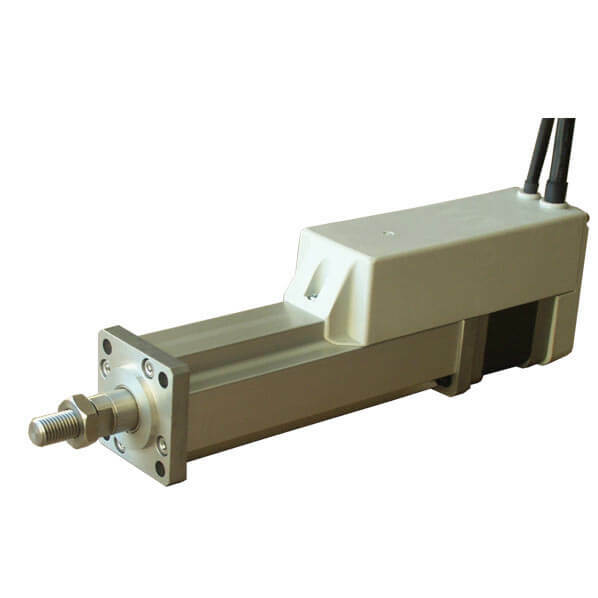 Mechatronic Cylinders are available in a range of stroke lengths and are constructed using an extruded aluminum body with 303 stainless for the shaft and rod tip. Actuators can easily be operated via 24VDC signals from PLCs or relays, and can be connected in networks of up to 16 axes.